Do Odwalla drinks and bars contain sugar? It depends on whether you consider "evaporated cane juice" to be sugar. Robin Reese does. In a 2013 lawsuit, she claimed that the Coca-Cola Company fooled consumers by claiming that Odwalla products do not contain sugar. 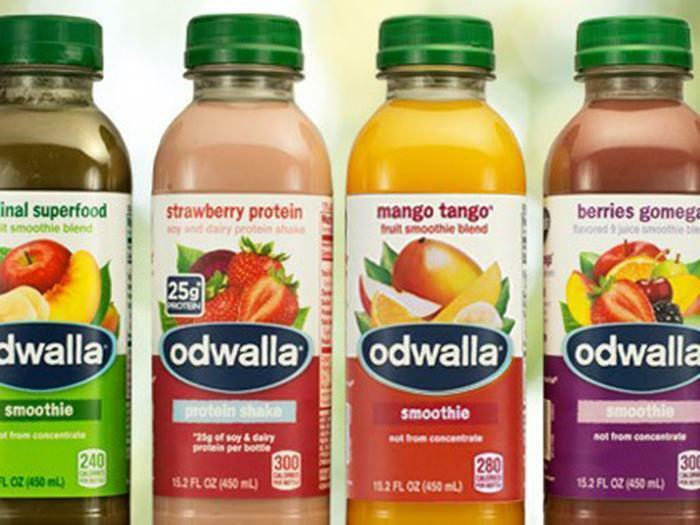 U.S. District Judge Yvonne Gonzalez Rogers earlier this week dismissed arguments made by Odwalla and Coca-Cola, allowing the suit to move forward, according to a Courthouse News Service report. In a 12-page opinion, the judge wrote that Reese's claims are not preempted by the Food, Drug and Cosmetics Act, as Odwalla and Coke had contended. The company had claimed that a 2016 guidance issued by the FDA preempted existing regulations that require products containing sucrose to include sugar on their ingredients list. “It would produce perverse results if, any time the FDA issues statements or guidance, such would erase liability for corporations which violated the regulations prior to the issuance of the same,” she added. Gonzalez Rogers agreed, writing in a 12-page order that Reese’s claims aren’t preempted by the Food, Drug and Cosmetics Act. The 2016 guidance “merely confirmed that [evaporated cane juice] met the definition for sucrose already in the federal regulations, and thus, had to abide by the labeling requirements set forth for sucrose,” Judge Gonzalez Rogers wrote.